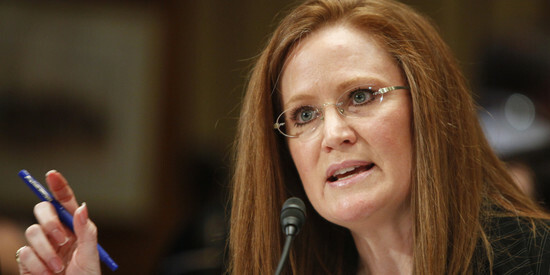 Christine Jones has been very forthright and public about Hillary Clinton. This week, she’s going after the Democrat nominee on social media as dangerous and deceptive. Here’s the message Christine Jones posted on her website.. Starting today and throughout the rest of the week, I’m going to lay out the reasons why Hillary is the most corrupt insider in Washington, and why we must do everything to stop her from becoming President. Today, I want to focus on Hillary’s use of a private server and email. As a technology and legal expert in this arena, I’ll say what Hillary did was outright illegal. It most certainly put America’s national security at risk and as we uncover more, breaches jeopardized the security and lives of American personnel. Although FBI Director James Comey chose not to criminally charge Hillary, he did admit that Hillary’s IT practices were “extremely careless” and put America’s national secrets at risk. In other words, Hillary may be dangerous, but she is allowed to evade the laws that apply to every other American. Is this the type of reckless and callous behavior we really want from our next President and Commander-in-Chief? Absolutely not! No other career politician has gotten away with more than Hillary Clinton and this is precisely why she will be tried in the court of public opinion this November. This week, I will be making the case why we should never allow the Clinton’s near the White House ever again. Let’s spread the truth about Hillary — please be on the lookout for my emails and tweets to come! Be the first to comment on "Christine Jones: Stop Hillary from becoming President"